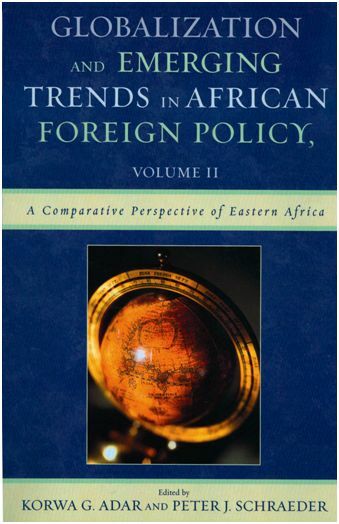 This volume focuses on globalization and emerging trends in African foreign policy in ‘Eastern Africa,’ a geographical designation that is inclusive of the Horn of Africa, and therefore more expansive that the classic conception of ‘East Africa’. 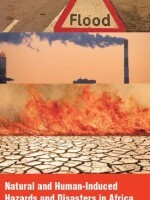 Edited by Korwa G.Adar and Peter J. Schraeder. 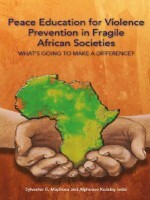 This study is part of a larger research project sponsored and funded by the Africa Institute of South Africa and co-published with the University Press of America. This essay examines the emerging trends in foreign policy formulation, implementation, and evaluation in post Cold War Africa. Editors Korwa G. Adar and Peter J. Schraeder have gathered thirteen essays that analyze existing foreign policy, propose changes to the African foreign policy approach, and explore the implications of African foreign policy on the world stage. 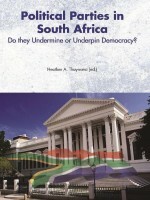 Organized into two sections, individuals country case studies and regional and global case studies, this important text is a timely addition to International Relations, Foreign Policy, and African International Studies courses; as well as a useful tool for policy makers, diplomats, and the NGO community.